Winston Churchill was impressed with infant Elizabeth. Lilibet had a quick temper and a decent right hook. No one has ever explained the cultural phenomenon that overtook the country. Ruth Cowen is an author, journalist, editor, and broadcaster. Her first book, Relish, about the Victorian chef Alexis Soyer, won numerous awards and was made into a sell-out play by the National Youth Theatre. A Nurse At the Front, about the great war heroine Edith Appleton, was the inspiration for the British drama series The Crimson Field. She has written many programs for BBC Radio 4 and commentated on a wide range of TV and radio shows. Jennie Bond is a respected royal broadcaster and former BBC correspondent who became world famous for reporting and commentating on the Queen through many eventful years, including the Windsor Castle fire, the divorce of Prince Charles and Diana, and Diana’s subsequent death in 1997. Memoir editor Rachel loves listening to personal stories that confirm we’re all weirdos. Whether you are a Royalist or not you will enjoy this 'easy to listen to' and ' non stuffy' account of Elizabeth II's life. What an interesting accounting of a life including her many strengths, weaknesses, her foibles, her dreams and her eccentricities. Learning about how her personality changed through nine decades and all the many national and international influences on her life. One would think that she is very two dimensional however this very lively accounting of her life certainly changes the listener's opinion as far as that is concerned. Many of us will remember her at the opening of the Olympics when she shows us her sense of humor participating in a sketch with the new 007 James Bond. After listening to this I realized that our Queen REALLY is a Bond Girl. She has supported a family, my Nation, many Nations in fact. She is still strong, she is relentlessly true to the promise that she made to my country many years ago when she became Queen. Never a 'quitter'. So many books have been written of Her Majesty the Queen that she surely didn't need another one. 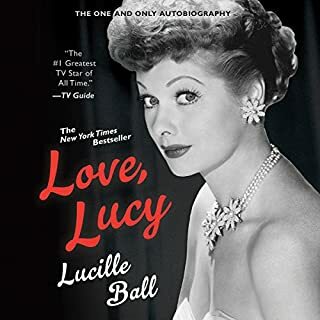 However this mini-biography was so well told, and the narration so well done, that it is yet another marvelous tribute to a splendid life not fully appreciated by the disdainful tabloid media and a good portion of her subjects. Long may Elizabeth the Second continue to reign. Over all I liked the content...It was a concise overview of the Queens life. The first two thirds was well done. I did not really want to hear the salacious tabloid details about Camilla and Charles and some of the Diana escapades. The book should have stuck to the Queens life and her reaction to the escapades of her children and spouses. I did enjoy hearing about some of the details of her life in the 50"s and 60"s.
I still admire her and think she has remained the most dignified of the royals . 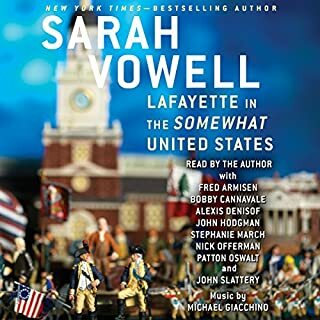 I do like history, which is why I chose this as one of my free Audible Originals this month. To be fair, it is historical, but it reads (or listens) like a very long gossip tabloid - full of who-wore-what, scandalous affairs, details of weddings, coronations, pomp,circumstance, blah, blah, blah. If you're one of those people that can't get enough of the Royals, then by all means have at it. You can thrill to their fashions, their appetites, their little victories and their little defeats in their increasingly irrelevant and parasitic world. Personally, I couldn't care less. This thing is under 4 hours, and I could barely bring myself to finish it. 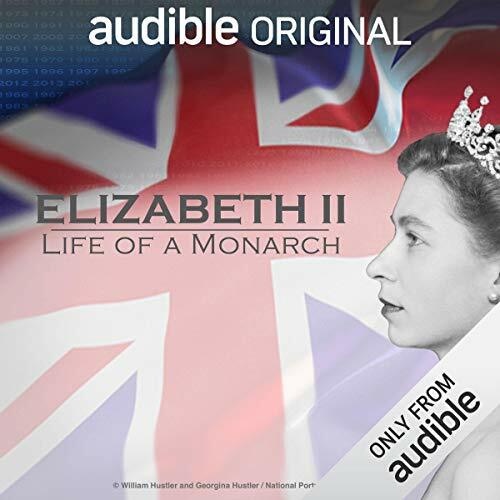 With the success of Neflix's the Crown, Audible episodically released this history of QEII in late 2016, with a re-release of it in this collection in 2019. - Diana's death and the reactions and ramifications, modernization and minimization of the royal family's trappings, more Fergie problems, ending with the the London Olympics and Elizabeth as a 'Bond Girl'. 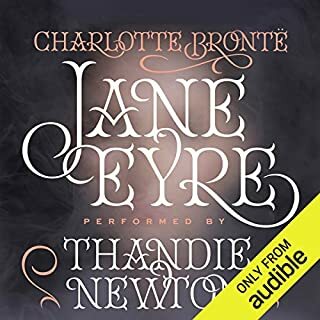 The audio production is a scripted work, close to an actual book. There is no interviews. It is mostly a singular voice reading a script, supported by classic recordings and sound effects. Jennie Bond provides her right proper British lady BBC voice to the production. Some of the recordings include the abdication speech, Elizabeth's first broadcast at 14 years old, the Coronation, Diana's wedding and crash news announcement and so forth. Because of the age of many of the recordings there is a scratchy noise to them and they are not crisp and clear, but their inclusion adds a lot to the production and it is richer for having them included. Some classical, regal music is also thrown in to round out the production. Interesting and entertaining, I learned a few new things. I did find that it tended towards the favorable. Elizabeth did have much to overcome. Would have been interested to have known how Harry’s marriage would have been portrayed, but the program was produced in 2016. 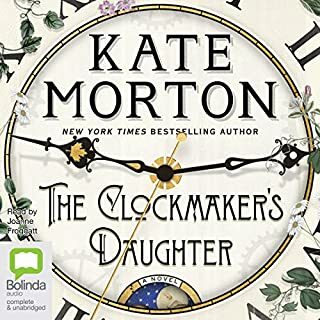 I knew I would choose this recording as soon as I saw it was about Elizabeth II, Queen of England, a woman I have admired for most of my adult life. It takes life experience to understand the value of her dedication to her job as Monarch, and the sheer force of will to get up every day and live an exemplary life, in the public eye. Is she perfect? No one is. But she has *Earned* our respect. On a personal level, I believe E2 has hesitated to dictate her family’s choices not because she is wishy washy, but to leave some freedom of choice in a life that is richly limited. Go E2, for standing firm on keeping your family name! As for showing warmth to her children: E2 was raised in a very upper class home still operating with 19th Century values and limitations. I admire her for adjusting first to 20th Century, and now 21st Century values and expectations. E2 has proven herself and it’s good to see her have fun a la James Bond. On an historical level, it has long been a point of interest that, in almost 500 years, there have been 3 Monarchs that have reigned England during long periods of growth and stability; and they were all women. I got to see the Cubs win the World Series; I’m still waiting for a WOMAN President of the United States before I die. Narration was well done. Background sounds like drumrolls and horns were subtle and added to the recording. Interesting if you’re into royalty or the Monarchy. 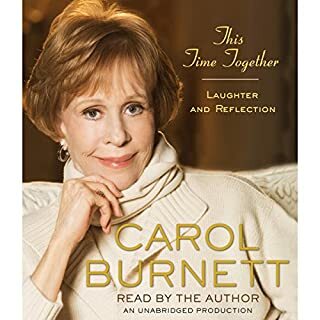 A wonderful scamper through history, not lingering overly long in any one place.....I really enjoyed this telling of one of the most iconic ladies of my lifetime. The book makes a good argument for ending the monarchy. And almost the institution of marriage itself. If the book's intention was to rehash royal scandals, in that it has succeeded. I loved this book! 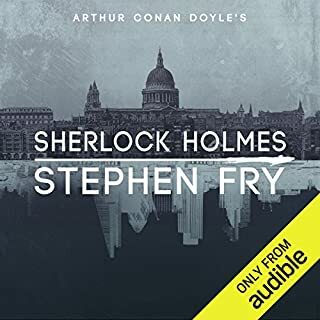 The recording is brilliant, captivating and really dramatic; it almost feels like being in the real thing when they use radio voices, play the funeral march,... In general, this short history of the Queen's life is less dry and feels more personal than many other history books. Even devoted royalists might learn something new and definitely enjoy the recording. if you are older you would understand the events and history. shorter than I through it would be. This is much more than a book, it is a brilliant E presentation in words and music of the life of our Queen. It is not afraid to tell the whole truth or to white wash over the times when the monarchy was anything but popular. A must listen. This book does not read in chronological order. Had to keep rewinding and wondering if I had missed things. It jumps all over the place and is so confusing. Jennie Bond's voice pleasant to listen to, not quite so keen on background clatter. Sad really as we all know the story. Very, very disappointing as was really looking forward to it. Would wait for a better book on topic! !